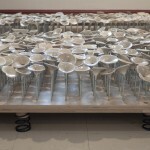 The immersive installation Jardin baroque is inspired by music boxes and the mechanical systems inside of them that trigger simple movements and little melodies. 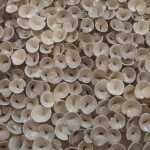 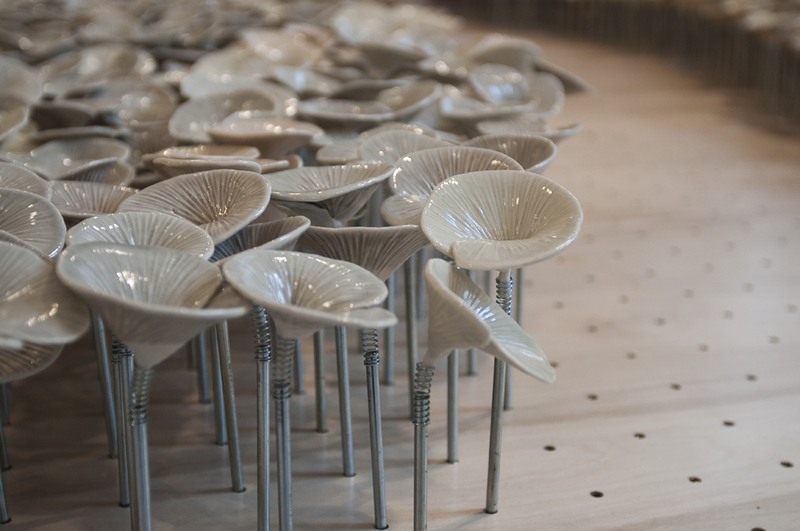 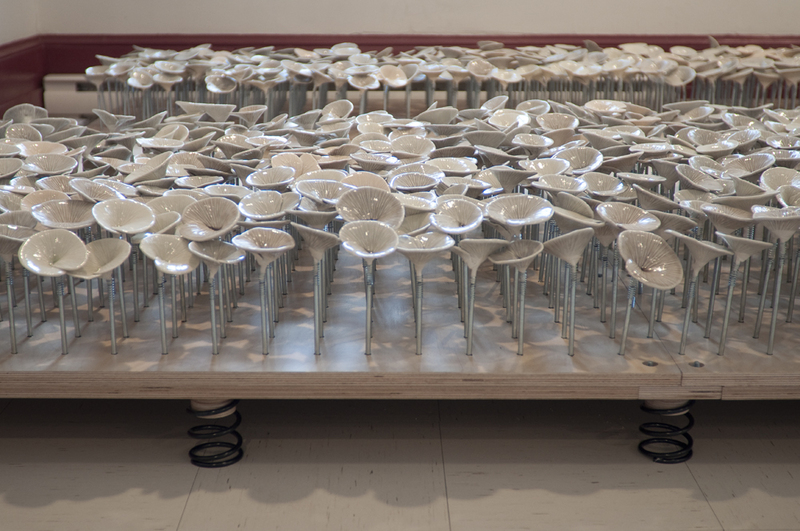 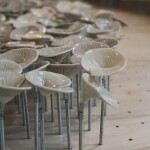 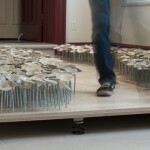 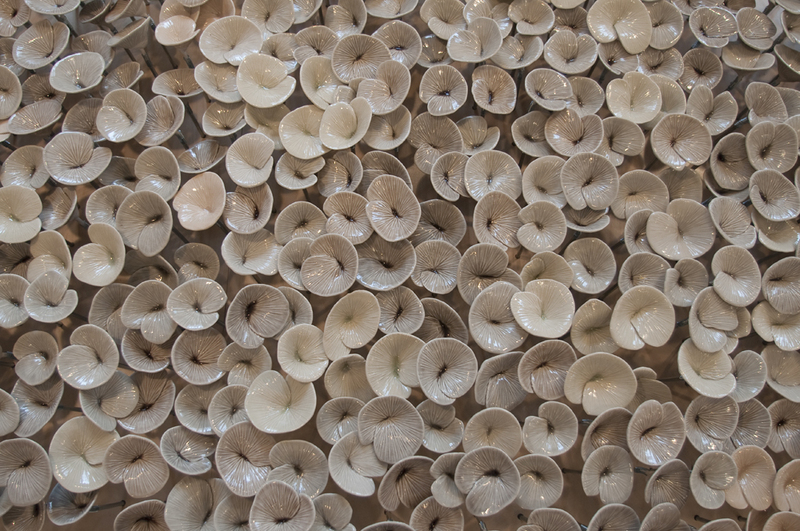 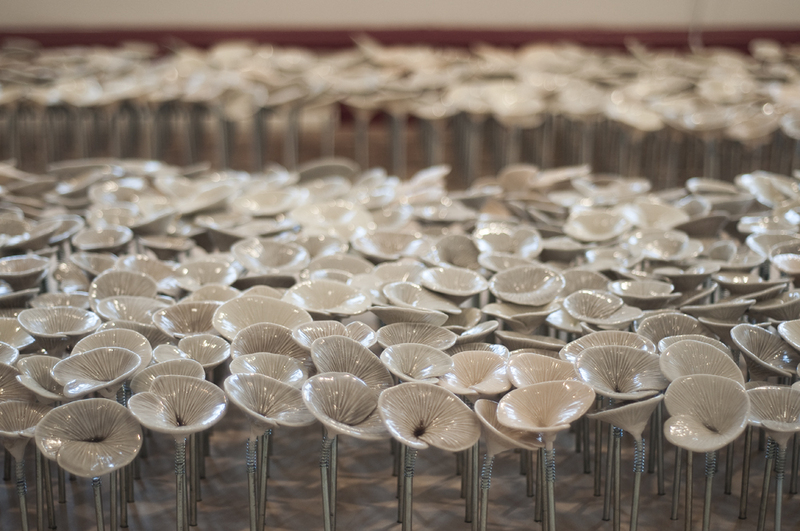 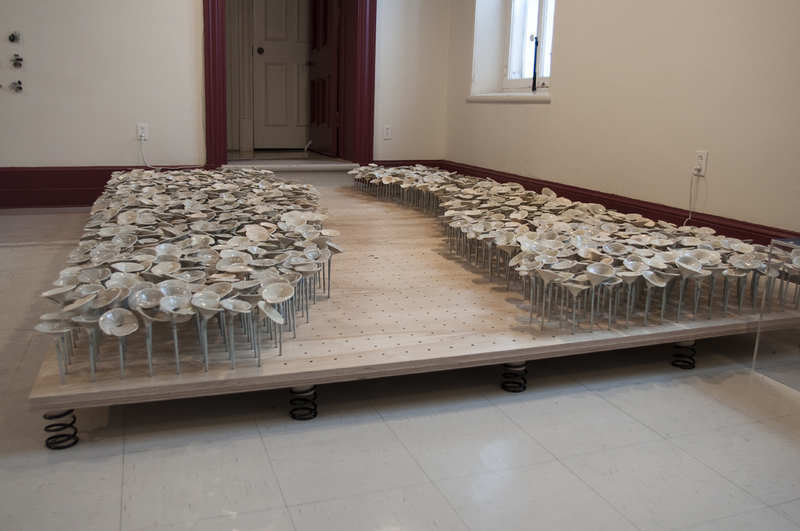 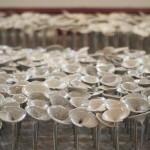 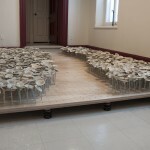 This installation consists of thousands of fungus-like porcelain forms, each assembled on a steel wire with a spring. 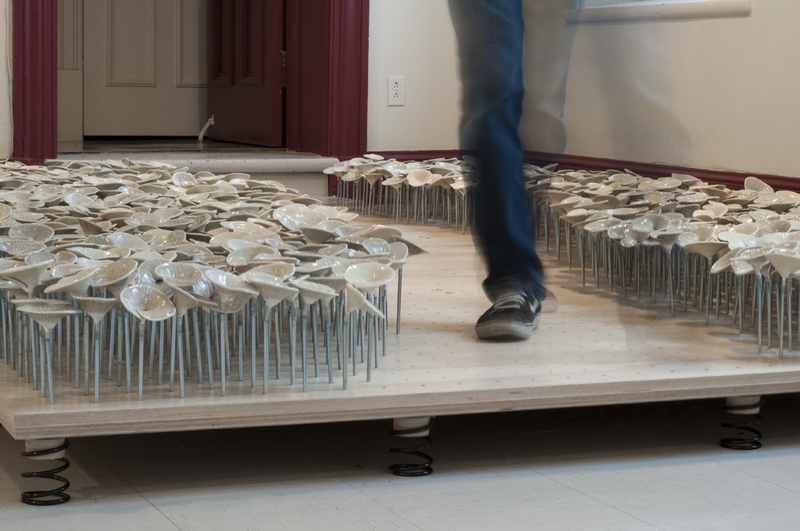 When visitors walk on the spring-mounted platform, they activate the little fungus-like forms and discover movements and sounds triggered by this environment. 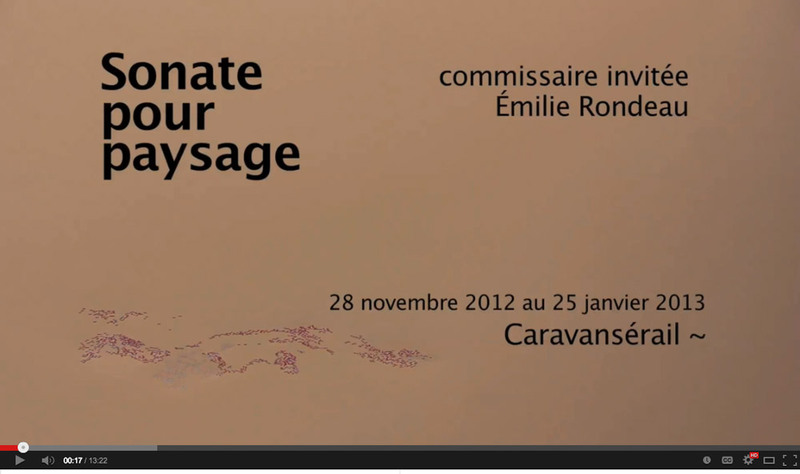 Video produced as part of the exhibition Sonate pour paysages at the artist-run centre Caravansérail in Rimouski where Jardin baroque was exhibited from November 28 2012 till January 25 2013.